On the day I sold my house, I spent the first hour of the morning collecting keys from the various friends who’d pretty much claimed them as their own. As I went through the process of rustling up my spare keys, I realized I was ending a fine contractual agreement, concluding a covenant of sorts. 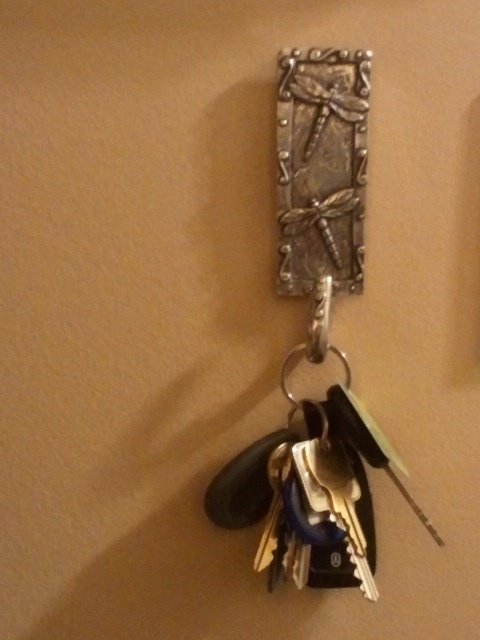 It was, as if by being keepers of my keys, my friends had also been keepers of my life. The arrangement was reciprocal. For nearly every key I collected, I handed one over. As the sale of my house closed the door on my life in Moncton, I realized with a touch of sadness that the keys had become unnecessary. Happily, though, their meaning is far from irrelevant. There is a chain of events that leads to the transfer of a key to a friend. Little by little, you give people access to more and more of your life, trusting them, and, ultimately, needing them. Two sets of neighbourly friends held keys to my house. Over the years they’ve checked on my house hundreds of times without so much as a whispered complaint. Significant amounts of travel both for work and pleasure meant I was often away from my house, sometimes for a month at a time. My friends cheerfully (at least I think it was mostly cheerfully!) checked on my house, watered the plants, fed the cat, and took in the mail and newspaper. Frequently they went beyond the call of duty, shoveling the walk or snow blowing the driveway so all would be clear when I returned home. This walkway has been shovelled by good friends more times than I can count. 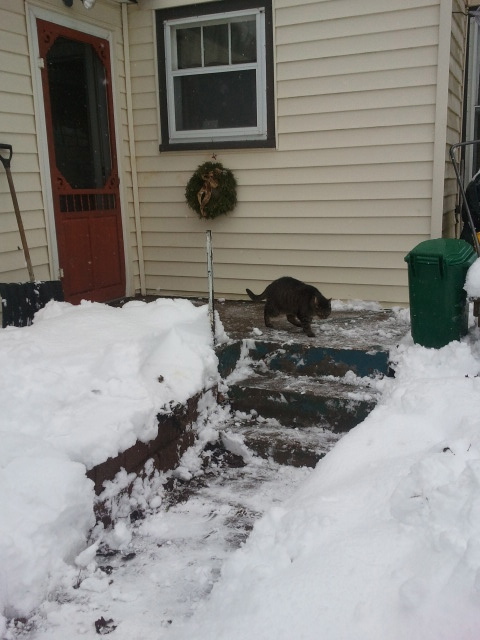 The cat never shovelled. Sometimes they noticed a problem, and ended up adding a layer of insulation to a kitchen pipe during a cold spell, or closing a window in advance of a threatening storm. Some months ago, when my house was about to be listed on the real estate market, my key-holding friends spent an evening at my house dusting, mopping and vacuuming – a generous gift to me during what was a rather frenzied period of my life. Often, when I arrived home late at night, weary from a long plane trip, tired from scraping the ice off my car at the airport, I’d open my back door and feel ready-made warmth. I’d instantly know that a friend had been in my house earlier in the day, just to turn the heat up so my return would be more welcoming. Friends with keys make life so much more comfortable. Sometimes I’d come home to find a small gift on the kitchen counter. Or a note would be left there, letting me know someone had borrowed a book or a garden tool. In addition to my two neighbours, a former roommate kept a key when she moved out; my sister in Halifax held on to one, and a good friend across the river in Moncton held yet another. I found it helpful to have these various spare keys squirreled away, especially when I locked myself out of my house, or, more troubling, locked my mother in. The latter unfortunate incident happened while I still had doors on my house with key-lock deadbolts. I’d left early that morning for a meeting 45 minutes away, with no plan to return for the better part of the day. Since my mother wasn’t yet up, I locked the house behind me, never thinking that I had not left a key inside for her. Thankfully a friend with a key came to the rescue and let my mother out of the house. Had there not been friends with keys in my life, I’m not sure my mother would have visited as often as she did. One of my key-holding friends used to stay at my house when I was away. Needing a place of respite every now and then from her own busy family life, she would pack a bag and unlock the door to my place, settling herself in for a quiet evening. On other occasions, she and her husband used my house as a romantic getaway. I was always glad it served that purpose for someone, mine being a rather singular life. On the day I sold my house, I collected keys. As I sat in the lawyer’s office, waiting for some documents to be copied, I fingered the keys I’d laid on the table beside me. Each one was identical to the other; each one unlocked exactly the same door. And yet each one represented a unique relationship in my life, all important, all incredibly necessary. 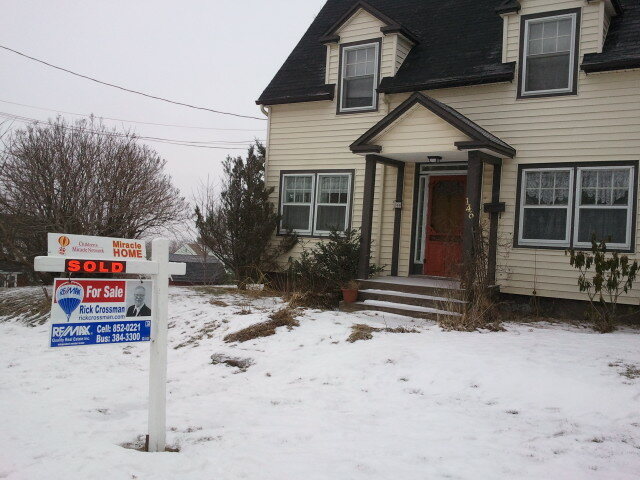 As I prepared to leave Moncton, I gave back the keys I’d held to my friend’s homes, knowing it wasn’t really necessary for me to hold them anymore. But one friend wouldn’t take her key back. “Keep it,” she said to me. And I think we both realized that holding on to it wasn’t about being able to unlock the door of her house. Sometimes a key is worth saving, more for what it represents than the door it opens. That key has become a symbol for me, a talisman of sorts, reminding me that I have many good friends whose lives are truly open for me. We’ve reached that place where holding each other’s keys is about far more than checking on a house. It’s about checking in on life. Aw, Lynda. That made me weepy. Beautiful post, Lynda! I am teary as well! What a lovely way to think of keys. I’ll never think of them the same way again. This is just plain lovely. As usual. Great post, made me miss home, that’s for sure. It also makes you realize how much of an impact good neighbours have on your life. The part that caught me the most was when you came home and one of your neighbours had turned up your heat for you. Awesome!!! Hopefully, in your new venture you will once again find neighbours like that. BTW thanks for visiting my blog.